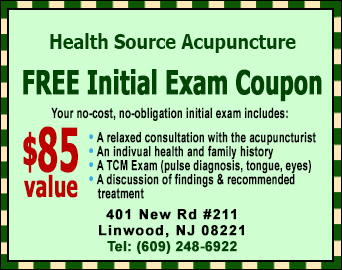 "If You Suffer From Chronic Pain or Other Ailments, And Prescription Drugs or Conventional Medicine Have Failed To Produce the Desired Results..."
Dominic Sembello, L.Ac., is a Licensed and Board Certified Acupuncturist in Linwood, NJ. 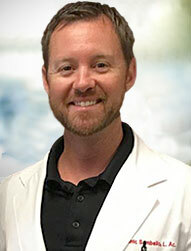 Hello, my name is Dominic Sembello and I'm a Linwood, NJ acupuncturist providing gentle and personalized acupuncture treatments for pain and many other ailments. 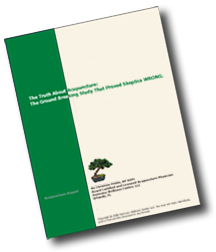 It’s a detailed report on the history of Acupuncture that includes the latest revealing studies, and how Acupuncture and Alternative Medicine work. Just enter your name and email below and I'll send it to your right away. If you have any questions send me an e-mail or call me at (609) 248-6922.